When you’re shopping for a new home the real estate market can seem endless and difficult to navigate. 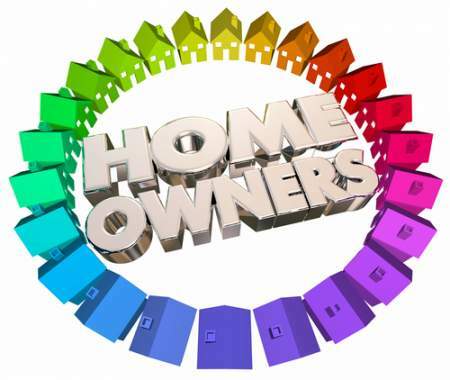 One important decision you’ll make is whether you want to buy a new construction home or an already established home. Each comes with their own perks and pitfalls, but if you’re leaning towards a new construction home, be sure you understand the process and what’s required from both you and your home builder. 👷‍♂️ How Do I Find a Reputable Builder? 📍 Can I Choose My Neighborhood and Lot? 📋 Will I Have to Join a Homeowner's Association? 👷‍♂️ What About Upgrades for New Construction Homes? Buying an established home may sometimes seem as though it’s a more convenient and cost-effective option, however, that’s not always the case. Established homes are more likely to require costly repairs sooner than a new construction home. Even with inspections, failing appliances, mold, or a broken-down furnace can be unpredictable and leave the new homeowner with unexpected expenses. A new construction home is usually covered by a builder’s warranty for the first year. This means that in the event that the furnace, hot water heater or appliances fail in the first year, they will be replaced by the builder. The warranty should also cover structural issues such as flooring, walls, doors, windows, and foundation. Some structural warranties are offered beyond the first year and can save the homeowner thousands of dollars if problems occur. Beyond just the expenses, choosing between a new construction home and an established home depends largely on your preferences. If you’re looking for a home with character and history, an established home is the obvious choice. If it’s customization you’re after, opt for a new construction home. When buying a new construction home, a real estate agent can help you find a home that suits your needs in the same way they would when shopping established homes. Your real estate agent can accompany you on show home tours and when you find a home you’re ready to purchase, they’ll work with you to navigate upgrades, builder negotiations, contract signings, and inspections. When you’re working with a real estate agent to build a new construction home, be sure to bring them along the first time you visit a show home and have them register their name with the builder. This lets the builder know who is representing you and who to contact with questions or concerns about your new construction home, as well as ensures that your real estate agent will be paid commission by the builder. If you’re working with a real estate agent, ask them if they’ve worked with the builder before and have them tell you about their experiences. The best way to get honest reviews is to ask friends and family and post on your social media pages. If the neighborhood you’re looking at building in has a Facebook page, try to join and ask residents about their experiences and recommendations. You can also search the builder on the Better Business Bureau or search for reviews on Google or Yelp. Most builders design certain models to be built in specific neighborhood’s. When you visit a show home, it is likely that it was designed for the neighborhood it’s located in and isn’t being built in other neighborhoods, however, the builder may have similar models in other new neighborhood’s so it’s always worth asking the sales representative in the show home. Typically, there will be a selection of lots designated for the home model you’ve chosen, and you’ll be given several available lots to choose from. 📋 Will I Have to Join a Homeowner’s Association? Most new communities have some sort of homeowner’s association that will charge residents a small fee to live in the community. These fees go towards general upkeep and aesthetics of the neighborhood, and in some areas will provide residents access to community amenities such as a pool, lake or tennis club. When buying a new construction home, you’ll usually be given the option to upgrade some of the home features including cabinetry, countertops, flooring, appliances, hardware and light fixtures. These upgrades can get costly, so it’s best to set a budget for your upgrades before selecting them with your builder. When signing a contract with your builder, it’s best to have your real estate agent present if you’ve chosen to work with one. Real estate agents are expert negotiators and will know which terms are final and which ones your builder may be able to alter. Some terms that you may want to negotiate include move-in dates, inspections and warranty visits. When you’re building a new construction home, your builder will be put through rigorous inspections throughout the building process. These are usually performed by city inspectors, however, if you want to bring in your own private inspectors this is a term that can be negotiated at your contract signing. You’ll also be given estimated completion dates by your builder that coincide with different phases of building your home. It’s not uncommon for these dates to be pushed back when construction gets stalled. Ask your builder what happens if your move-in date is moved and be sure to discuss these terms before signing your contract. 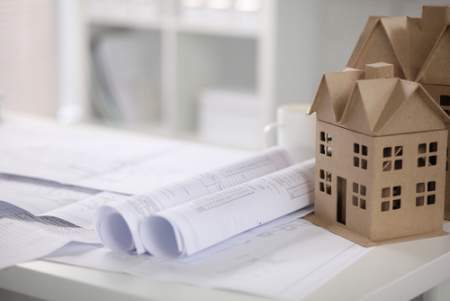 Each comes with their own perks and pitfalls, but if you're leaning towards a new construction home, be sure you understand the process and what's required from both you and your home builder.